Before the 1980’s, payday loans were very rare within the United States. This is not to say that predatory lenders did not exist. So called loan sharks have been around since the Great Depression. And pawn shops have long been the lender of last resort for many people who have found themselves out of work or otherwise down on their luck. These days, payday lenders promote their trade on every form of media, including television commercials featuring celebrities and internet ads. For desperate individuals, receiving cash overnight with few questions asked can seem like the answer to their prayers. But despite their apparent convenience and brief history, payday loans have proven themselves to be no better than the old-time loan sharks. Back in the day, loan sharks earned their notorious reputation by extending loans to desperate borrowers who provided them with post-dated checks intended to cover the cost of repaying the loan plus interest. According to a 2004 report issued by the Consumer Federation of America, predatory lenders charged interest rates of up to 1000% during the Great Depression. By extending credit through the use of personal checks, these notorious operators skirted usury laws in place at the time. In a very real way, loan sharks purchased the wages of their borrowers. Fast-forward to the late 20th century, and you start to find brick-and-mortar payday loan stores beginning to spring up in areas underserved by conventional lenders. These unconventional lenders operated in much the same manner as old-time loan sharks, requiring borrowers to provide them with physical post-dated checks intended to cover loan repayments plus those hefty fees. To avoid infringing on state usury laws that were still in effect, euphemisms such as “check cashing services” were substituted for the word “loan.” Borrowers were often intimidated into paying high “check cashing” charges to avoid the prospect of prosecution for passing bad checks. The thing is, few people are able to repay the debt. Two weeks go by and they are in the same situation, so they take out another loan, and another, etc. 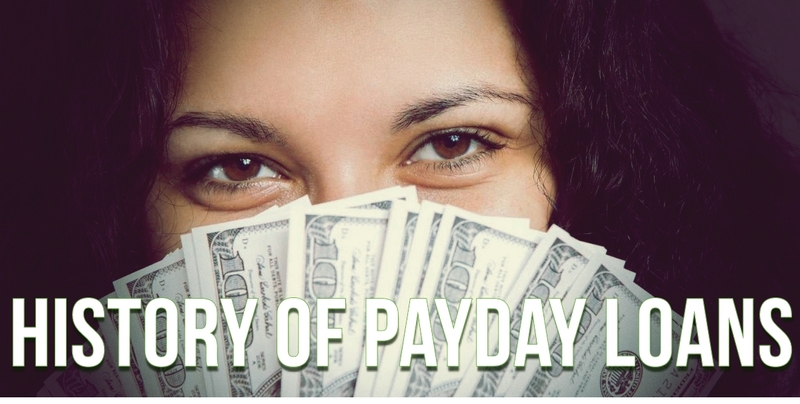 The average payday borrower is in debt for nearly 200 days — more than half a year. One-in-four borrowers spends at least 83% of their year owing money to payday lenders. This is on top of any debts that borrower might have to other creditors. What’s presented as a convenient short-term loan ends up being a long-term high interest debt. According to a study by the Consumer Financial Protection Bureau, the average payday loan is just under $400 with an average APR of 339%. In 1978, the Supreme Court ruled in the case of Marquette Nat’l Bank v. First of Omaha Service Corp. et al., 439 U.S. 299 (1978), deciding that national banks were entitled to charge interest rates based on the laws of states where they were physically located, rather than the laws of states where their borrowers lived. This ruling effectively made predatory lending something that was perfectly legal nearly everywhere. Payday lenders set up shop in friendly jurisdictions, in what consumer advocates dubbed “rent a bank” operations. During the 1980’s, federal deregulation had a profound impact on industries ranging from airlines to utilities and even to banking. One of the most significant pieces of legislation that affected payday lending was the Depository Institutions Deregulation and Monetary Control Act of 1980. Among other provisions, this law allowed banks and financial institutions to charge whatever the market would bear concerning interest rates for loans. Establishing these regulations laid the perfect foundation for the payday lending nightmare that was soon to follow for many Americans. As the dawn of the internet began to rise in the early 1990’s, so too came a new way of communicating, conducting business, and completing financial transactions, among other things. With the rise of the internet also came a significant increase in the number of payday lenders eager to do business. Borrowers enthusiastically took advantage of applying for loans without the embarrassment or inconvenience of going to a payday loan store. But while the online environment provided newfound conveniences, the exploitive practices and harmful financial effects of payday lending remained unchanged. Internet payday lenders began to operate across the country, taking advantage of the booming technology to reach customers hundreds or even thousands of miles away from their actual locations. Internet lenders also began to establish themselves outside the United States, in countries where regulations are less strict than in even the most liberal of states. As a result, borrowers often found that they had little or no recourse against unscrupulous lending and collection practices. You may have noticed that many payday lenders discourage or even prohibit members of the military and their families from obtaining loans. That is because the Military Authorization Act of 2007 was implemented to protect the nation’s men and women in uniform from predatory lending practices. This Act placed a cap of 36 percent on interest rates for loans made to members of the military and their families. Rather than reform their lending practices, many payday lenders simply stopped lending to military borrowers. Unfortunately, while the intention was good, the Military Authorization Act does still have several flaws which keep military personnel vulnerable to predatory lenders. The Act does not cover loans for more than $2,000, those with repayment terms lasting longer than 91 days, or auto-title loans with repayment terms that exceed 181 days. Additionally, service members usually agree to an allotment system where the military makes deductions to their paychecks to pay for monthly expenses. Unfortunately, lenders are usually aware of this allotment system and get the borrower to agree to repay the loan using this system. While it benefits the lending companies by keeping the default rate at a very low level, it oftentimes leaves the service members with an even greater hardship to deal with. Military members have also reported that some lenders have gone as far as making personal threats of going to the commanding officer if payments are not on time. This increased pressure and stress can often lead these service men and women to take out additional loans, thus further devastating their financial situation. Mainstream banks have also played a big role in the expansion of payday lending across the country. A 2010 article in the Wall Street Journal stated that many banks, including banks that had received bailout funds from the federal government, had largely refused to lend money to individuals or small businesses. On the other hand, payday lenders often received substantial loans from these financial institutions. According to the article, Wells Fargo made the largest number of loans to payday lenders. According to a 2013 article in The New York Times, mainstream banks also facilitated internet payday lending by permitting ACH withdrawals from their customer’s bank accounts without restriction, and without allowing customers to stop payment on those ACH transactions. This article goes on to explain that banks collect tremendous sums from overdraft fees because payday lenders often make repeated attempts to collect payments. In at least one instance, Chase Bank refused to close a borrower’s account until an internet payday lender made 55 attempts to collect payment, resulting in 44 overdrafts and more than $1,500 in overdraft and service fees collected by the bank. 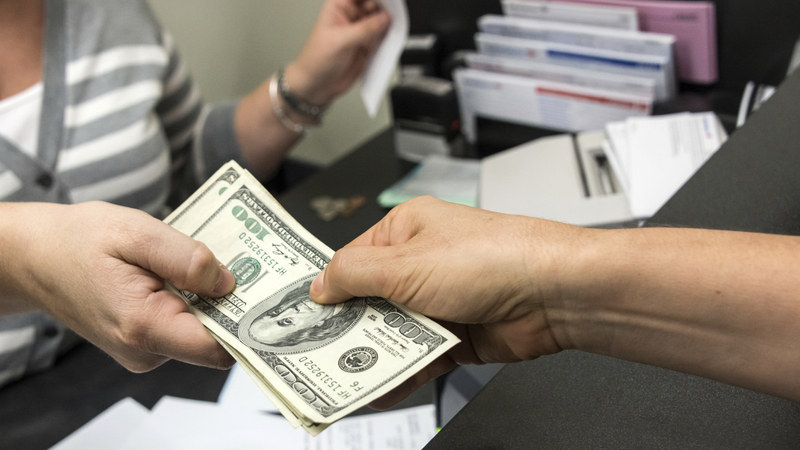 While many mainstream banks have contributed to the payday lending industry, whether directly or indirectly, many of them have swiftly changed directions and have more recently taken the opposite stance when it comes to these short term loans. This is due to “Operation Choke Point”, a project that was launched by a team under President Obama, which is made up of representatives from the Department of Justice (DOJ), the FDIC, and the Consumer Financial Protection Bureau (CFPB). According to the Wall Street Journal, this initiative was designed to, among other things, abolish online and payday lending, and is an extension of the President’s Financial Fraud Task Force which was created in 2009. The government’s reasoning to support their goal to shut-down these kind of lenders is based on their claim that by doing so, they are protecting consumers, eliminating “high-risk” organizations, and getting rid of these perfectly legal but highly unfavored businesses. In August of 2013, several members of congress acknowledged reports that members of the DOJ and the FDIC had been engaging in intimidation tactics to get community banks and third party payment processors to stop doing business with online and payday lenders. This prompted many banks to suddenly, and without much warning or explanation, sever all ties and business relationships with these types of lending organizations. This issue continues to evolve and will no doubt play a large role in the future of the online lending industry. Individual states have begun to crack down on payday lenders. In 14 states and the District of Columbia, interest rates for payday loans are capped at 36 percent, the same as for military loans. Not surprisingly, no brick-and-mortar payday loan stores exist in these jurisdictions, according to an April 2014 report issued by Pew Charitable Trusts. Other states have instituted regulations such as the 2005 Payday Loan Reform Act in Illinois, which places strict limits on loans with repayment periods shorter than 120 days. But payday lenders have responded with tactics such as 121-day loans which add one day to the length of the loan so as to skirt the law on technical grounds but in fact operate just like old-school payday loans. Similarly, in South Carolina, payday lenders took advantage of a loophole in the 2009 South Carolina Deferred Presentment Services Act (SCDPSA) that allowed them to operate under a less stringent set of rules. Have you ever wondered why so many casinos appear to be operated by Native American tribes? Native American territories are considered to be semi-autonomous jurisdictions, even though Native Americans hold United States citizenship. Many state laws – including those that outlaw gambling, do not apply to Native American territories. Several payday lenders have established collaborations with Native American tribes, using the same principle. For many of these impoverished tribes, revenues generated by payday lending provides much needed funding for basic services such as schools and housing. Nonetheless, states such as California, Colorado, New Mexico and West Virginia have challenged so called “rent a tribe” payday lenders operating in these Native American enclaves. The Consumer Financial Protection Bureau, formed as part of the The Dodd-Frank Wall Street Reform and Consumer Protection Act of 2010, has jurisdiction over Native American enclaves beyond that of state governments, and has also been attempting to form some sense of control over this predatory lending. The previously mentioned “Operation Choke Point” initiative was especially debilitating to payday lenders using the tribal lending model. Overnight, many of these lenders found themselves sitting on multi-million dollar loan portfolios with no way to collect because the payment processors powering their repayment efforts suddenly severed ties. The Great Recession was not limited to the United States. Much of the world suffered steep declines in their economies, throwing millions out of work. In particular, Ireland’s housing market decline was even more dramatic than the bursting of the housing bubble in the US, while Iceland’s entire banking industry nearly collapsed. Payday loans crossed the border into Canada in the late 1990’s and made the transatlantic trip to the United Kingdom, cultivating desperate borrowers as customers. But the payday lending industry has encountered pushback in the United Kingdom and in Canada. Since the 2006 Kilroy v A OK Payday Loans, Inc. Supreme Court of Canada decision and reforms in the Criminal Code of Canada, payday lenders in Canada have been limited to double-digit interest rates in all the provinces where they are legal. In New Brunswick, Quebec and Newfoundland, payday loans have been effectively outlawed altogether. And according to a May 2014 report published by The Guardian, half of all payday lenders have left the UK within the past 18 months as a result of heightened scrutiny by the Federal Conduct Authority. No matter how they are packaged, conventional payday loans are financial traps. Consumers should avoid them if at all possible. If borrowers with credit problems look a little harder, they may find that other options exist. Credit unions and responsible installment lenders such as LoanNow are willing to consider lending to many individuals based on their entire financial profile, not just their credit scores. In addition to this, LoanNow offers customers several opportunities to grow their LoanNow credit score which will help them qualify for better rates on future loans. Borrowing from an online installment lender like LoanNow provides the convenience of on-the-spot funding combined with APRs that are much lower than the payday loan average, helping consumers avoid the dangerous pitfalls associated with using predatory payday loans. LoanNow’s mission is simple, to help good people get better loans.